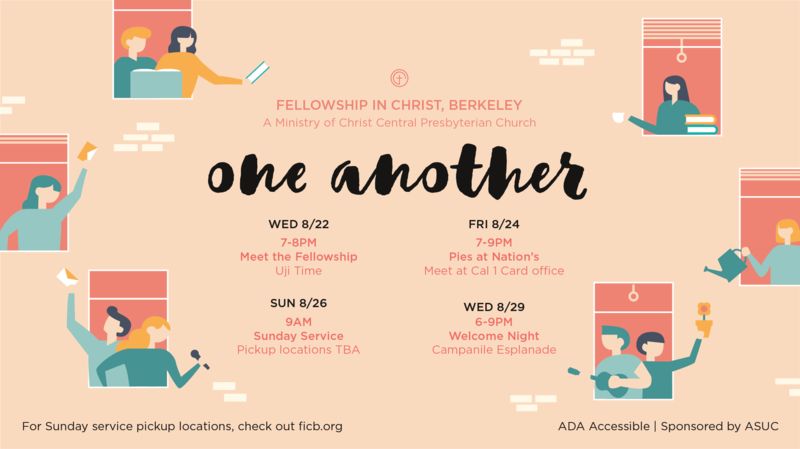 Fellowship in Christ, Berkeley (FiCB) is the campus ministry of Christ Central Presbyterian Church (CCPC) in Daly City. We meet regularly both in large and small group settings. The goal of our ministry is to shape our members into “real Christians in the real world”–that is, to be transparent and authentic citizens of Heaven and of Earth–so that our knowledge and faith in Christ would remain firm when we leave the university setting for the work place. For a deeper understanding of our church and our beliefs, please read the Statement of Faith on our church website. It’s the beginning of a new year, so come join us for our welcome week events if you would like to meet and find out more about us! RSVP on our Facebook event.